On 19 May 2016 antennas were erected and the VHF SDR turned on to inaugurate the VO1FN/b TransAtlantic VHF Digital Beacon Receiver Site. This is a joint project sponsored in part by the Society of Nfld. Radio Amateurs, Baccalieu Amateur Radio Club and the Upper Trinity Amateur Radio Club. Many attempts have been made from Newfoundland and Labrador to bridge the North Atlantic with a VHF amateur radio signal. The ultimate challenge is to complete a traditional two-way VHF QSO between Europe and North America. This milestone has never been achieved and would be a first in the history of radio communications. The prize would be the “glory”, however fleeting, to those involved on both sides of the Atlantic and of course the Brendan Award sponsored by the Irish Radio Transmitting Society. The most recent “Brendan Quest” attempt was staged by a large group of amateurs from Nova Scotia in summer of 2014 using call sign VC1T. Using a unique 33m long VHF “ultra-light” yagi and a complicated, high power station, digital signals (FSK441; JT65) were transmitted towards Europe from Pouch Cove NL. The signal was actually decoded in the UK by G4SWX. It was ultimately concluded however, that the signal was reflected from the ISS and hence the claim could not qualify under the Brendan Award rules. Interest grew in online discussions in continuing the VC1T experiment. An offer came from John MI0AAZ to donate a Raspberry Pi computer and SDR to the project. These discussions resulted in Frank, VO1HP, making his summer location and equipment in Freshwater, Conception Bay North, NL (47.7394N; -53.1831W) available for a receive only site to monitor VHF propagation and to listen for signals from established VHF beacon transmitters operating in Europe. The VO1HP site has an unobstructed view of the North Atlantic across the vastness of Conception Bay. Frank approached VO1DM President of SONRA who in turn canvassed funding contributions from the other two clubs (VO1DM also made a personal donation). This funding allowed the purchase of two InnovAntenna 5el LFA Q High Gain VHF yagis. InnovAntenna, through Justin G0KSC, sponsored the project by donating the coax cable phasing harness and the power combiner unit. The VO1HP site is providing the housing, AC power and high speed access networking as well as the site tower, PC and FunCube Dongle Plus SDR receiver. 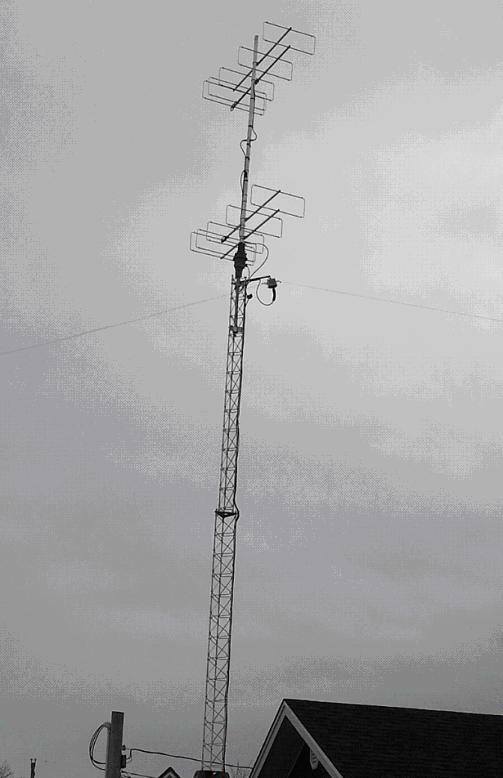 The VHF Digital Receive site is now operational and ready for experimentation by beacon operators and well equipped VHF stations in Europe, The antennas can be rotated to point to stations that are located in southern regions of Europe.